Here are the products of our final humanities project, enjoy! ​Unfortunately, I was not able to embed the book we made, so here is a link to it! Below is the poem I wrote, "Hands to Shape"
We’ll learn nothing, we’ll never know. I used this image to represent two things. One, nature, and two, how twisted together nature and artificial things can be. 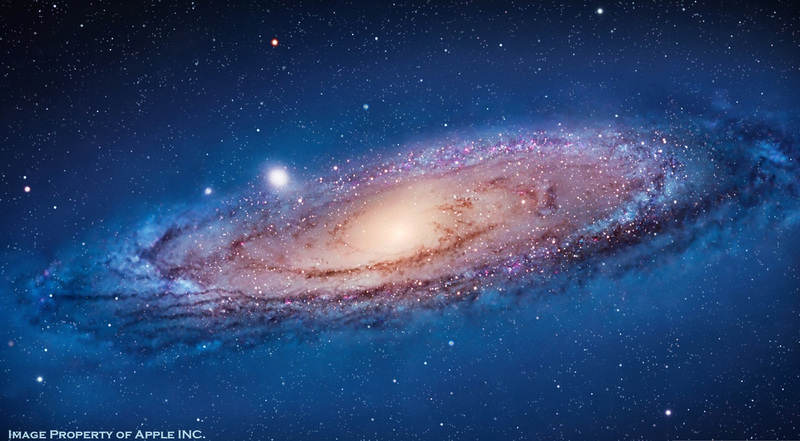 This is because when you see this natural image, you don't think about the galaxy, you think of Apple Inc.
My poem, “Hands to Shape”, has undergone many changes and different iterations. While it does have a first and final draft, I figured I’d include a second, since the finished product is so radically different from what it started as. Although the perspective/message has come out more ́or less the same as it started, I did extend it to a wider audience than it started with. As an example of this, I changed the first line, one of the most powerful in a villanelle, to be clearer, and simply worded better. It started as “Our hunger does not cease to grow,” and has evolved into “Ambition is our lonely foe,”. While these may sound very different, it can be seen how they connect. Rather than simply stating that we have hunger, I figured it might be better to say that our ambition, what drives us to accomplish things and diminish our hunger, is what we wrong ourselves with. The revisions I have done have definitely changed how the poem is received by a reader. Every different combination of words portrays a slightly different message, this being no exception. Overall though, I’m glad that I have made these revisions, because not only have they improved the sound of the poem, they have also improved the message. By making it easier to understand, I’ve been allowed to expand on original ideas more than ever before considering the constraints of this poem form. An incredibly important change that has been made to my poem is the writing style. Poetry is about “showing, not telling”. By making revisions, going over my poem again and again, I’ve successfully met this standard. Although I have definitely added much more figurative language, allow me to describe how rather than bog down the poem with clichés, this adds to the poem in nearly every way. To state an example of myself applying this change, let’s compare and contrast a quote from draft 1 and the final draft. A line from draft 1 states, “All to be taught is ‘quid pro quo’.” and I improve upon this line by changing it to “Echoes in our heads shout ‘quid pro quo’.” This change employs figurative language, as mentioned above. Intellectually, this forces the reader to think. They may even have to read the poem again just to reiterate the point made in this line. By saying “echoes in our heads’, it brings up implications, such as why someone may be hearing echoes in their heads. Could it be that the echoing phrase was repeated too many times to them? Emotionally however, this line holds much more weight, as, rather than describing a classroom, a somewhat monotonous place, someone’s head is described. This is where all emotion is held, and this implication can set in motion a chain of thoughts that bring up more emotions than in the unrevised line. Revising poems in this way is all about subtlety, to make sure that the final product does not seem too sappy, or cliché. Lastly, a shift in the clarity and consistency of my poem was called for, and I delivered it. In my opinion, clarity is the most important aspect of a poem. Clarity, for one, allows a message to travel from the poem to the reader. If the poem is too unclear, someone may not receive a message, or maybe the wrong message. I’d changed the format of how my ideas are presented, and once I had gotten enough critiques, I finally was able to have a solid, concrete idea when writing a stanza, rather than just winging it. For example, I changed the very last lines of the poem, which in a standard villanelle format are supposed to stay the same, to variations of themselves. The form of the villanelle dictates that the last two lines copy those repeated before in the poem. In this case, I changed “Ambition is our lonely foe,” to “Fixation is our lonely foe,”. I also changed, “We’ll tell no-one, we’ll never show.” To, “We’ll learn nothing, we’ll never know.” By doing this, I believe that the message, while somewhat ambiguous in the rest of the poem, comes together in these two lines. Not only are they powerful because of the form they are written in, but because they break form. These lines, by being different than others, stand out, and their message is greatly emphasized. On an emotional level, these lines resonate in the reader’s head, and because of this, they also make the reader think, just as the previous revision did. 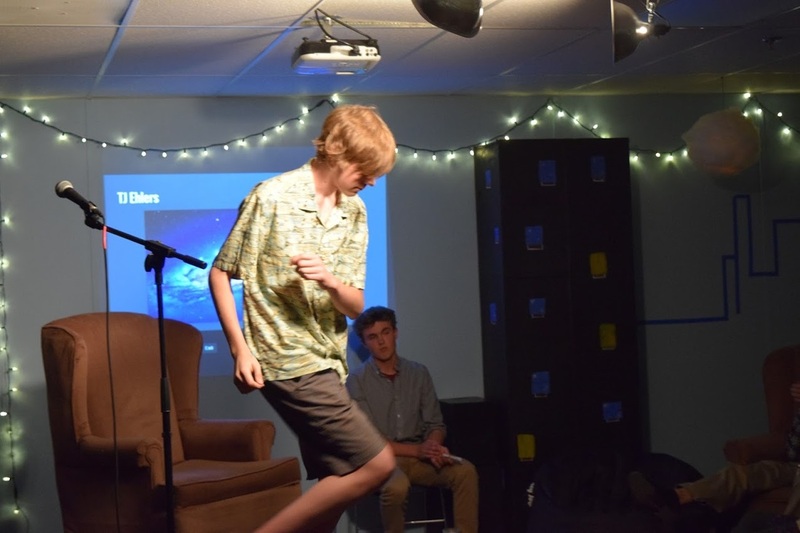 The reverberating lines in their head again force them to delve deeper into the meaning of the poem, and make the entire poem more powerful as a whole. By using one of the simple habits of heart and mind, refinement, projects can be made much better than they previously were, and this poem is no exception. The happiness and meaning project we have recently been working on has been fairly challenging. We have critiqued and refined our essays endlessly, and finally come out with a final product. On the other side of the coin, we have also been working hard on art pieces. My art piece can be found below, and also took a good deal of careful refining. This project has been very valuable to me, mainly because it has presented me with the tools to lead a happy life. 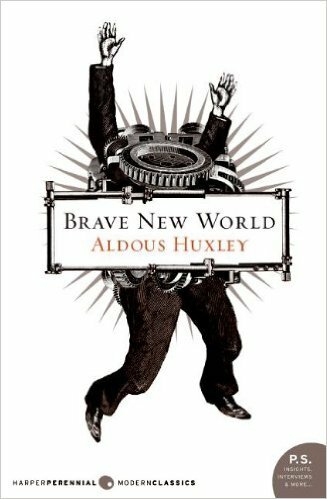 As for the meaning part of the project, we read the book Brave New World, and it presented many new ideas to us as a precursor the the happiness project. Happiness, or rather the quest for it, is something we have all been trying to achieve for as long as humans have existed. It’s not as much of an hopeless quest as we may think though. Many studies have been conducted on this subject, including one conducted by Harvard University over the course of 75 years, which is still going on. Throughout this study, hundreds of people were studied throughout their lives, and their happiness was measured. Although the results can never be entirely conclusive, they have found patterns, and some form of answers. These answers are reflected in lots of mainstream media, and are normally referred to when seeking happiness. To many degrees, meaning, community and change are important for a healthy mind and a happy life, because these things make us stay active and involved in our lives and the lives of others. Meaning, on any level, is a piece of what happiness is. According to Gerard van der Leeuw, “When we see reality, there is not a grain of dust that has not a sublime meaning.” This quote, I think quickly dismisses some of the ideas that come to mind when considering meaning. While it is important to have meaning in life, on the other side of the coin, life can have its own meaning. Because of this, meaning is sometimes difficult to spot, as it comes in many forms. Meaning is greatly an intrinsic value, rather than something that can be achieved, at least in most cases. And although meaning can be difficult to see, it is often promoted by helping others. Bringing up the importance of care, the 14th century Persian poet, Hafez, advocates for simply the meaning of one caring for another: “Even after all this time, the sun never says to the earth ‘you owe me’. Look what happens with a love like that, it lights the whole sky.” An overall good quote, but this teaches a valuable lesson. The quote pushes to emphasize the importance of giving and caring for others. Regardless of what anyone believes in, caring for others does give meaning, even if it is in the form of simply brightening someone’s day just a bit. Above all else, America specifically lacks community. This missing piece of a country is a vital part of civilization. As an example of what encouraging community could do to a country or, well, a community, one must turn to Denmark. Denmark is often considered the happiest country on earth, and one of the prime reasons for that is co-housing. In the film “Happy”, it is brought to attention that a large portion of Denmark lives in homes with up to 20 families in them. Of course, these homes are much, much larger than normal ones. In this case, community allows these people to work as a team, and build relationships with one another. This environment is is much more collaborative and supportive, rather than competitive. Due to the, of course, capitalist nature of America, people will often push themselves off of other simply to build themselves up, rather than thinking of themselves as part of a team. This, although it can occasionally lead to creating great people, also discriminates against those who cannot run the social race as well as others. In a publication by APS Healthcare, it was stated that “people of all ages who feel a sense of belonging tend to lead happier and healthier lives,”. People feeling like they belong ensures that they are cared for, not alienated for any reason. Community, at its root, means caring for others, receiving as much in return. And one should only hope for the latter. While happiness does not come easily, change in one’s life can lead to a healthy mind. “We do one thing or another, we stay the same or we change. Congratulations if you’ve changed.” Mary Oliver said that, and I think that congratulations should be in order for someone able to change not only the world around them, but themselves. Change can bring new ideas and places, and leave one entangled in a sense of wonderment. As little as some things seem, they can still be food for thought. A professor in the Department of Psychology at the University of California Riverside, Sonja Lyubormirsky, stated that one, to become happy, should “consciously vary what [they] do, never adapt.” People “stuck” in their jobs, people that often complain that they “feel like a robot” are doing so because they lack change in their life. If someone in this situation were to simply exercise their free will, it is easy to fall out of this cycle of monotony. Change is the embodiment of free will, and when we lose it, we become less than human. Happiness needs to be studied more, and we as a species need to figure out how to become happy, and stay that way. There are a multitude of reasons for this, and here are just a few: It’s a basic human right to be happy. Life is much more worth living when one has a sense of secure happiness. One may bring to attention the argument that we can’t waste our time figuring out how to be happy, and we should focus more on production and economy. However, when it is looked into more, it can be seen that happy people actually work better. A study from The University of Warwick stated that “ if well-being boosts people’s performance at work, this raises the possibility, at the microeconomic level and perhaps even the macroeconomic level, of self-sustaining spirals between human productivity and human well-being.” Of course, it can be said that happiness ties into everything, and especially work. If happiness is taught as a skill, at can spread to others. In this case, it can be assumed that if someone is happy, and understands how to be as such, that they would like to share that with others, and perhaps an education focusing on happiness could begin to work itself at some point. When all of our societal values are stripped away, the one thing we strive for is happiness, and in the absence of happiness, what value is there? I think this project has really helped me grow in the perspective area of the Habits of Heart and Mind. The biggest influence on this was the readings and videos that we encountered. These introduced new ideas about happiness, and showed how and why people feel happiness. Simultaneously, writing papers has definitely improved my writing skill, as small as the transition may have been. The project also has affected my judgement, because the new ideas regarding happiness that have been shown to me seem reasonable, while also being a viable option for something to work towards. And although leaving other ideas behind has been a part of this, I think that I can simply do without these ideas. For my summer, I plan to find a job, or maybe even do extra work for school. Doing these things will help me to stay active during a time where I can often become very stagnant. Simultaneously, I think a great idea to stay happy for the summer would be to hang out and socialize with people I don’t normally do so with. By doing this, I’m introducing my life to change, and preserving an air of mystery among my thoughts. Lastly, I think enjoying the rafting and camping trips that my family brings me on as much as possible could contribute to a happier summer. This would connect me to nature more closely, while also perhaps adding a closeness to family. What is my biggest take-away from this project? Everything. This project has really helped to adapt my mind to the numerous ideas about happiness that I already had, and that I now have. This adaption is really a result of confirming previously speculated ideas of happiness that arose in my mind. Now that I have some confirmation, some basis for these thoughts, I can incorporate them into my everyday life and make positive changes to my actions. Just as a cherry on top, I can now spread these ideas as well. There are lots of important contributors to happiness, but now that I know what they really are, I wield the tools, along with my classmates, to change the future of happiness. In some ways, this art piece represents a somewhat superficial version of happiness. The main idea behind it is to represent the fact that sharing ideas and receiving validation is important. Although this can be considered superficial, and almost an extension of desire for a highly regarded image. At the same time, it can also be connected back to community. Being interconnected is important, and I think that this art piece can also show myself connecting to a community, which would be the city piece of it. Another idea is that rather than simply sharing ideas, I can share, or at least give happiness back to a community, or a group greater than myself. I chose to create this art piece as I did only because I could. It was lots of tedious work to go through and make every frame, as it was really my only option. I decided to do it, and eventually I had this. When I had the idea, I thought it would be unique and really stand out among other art pieces, so I went along with it. Surprisingly enough though, it didn’t take all too much time. Only about 2-3 full class periods, or about 3 hours. Despite this, revisions and adding layers to the project were very difficult to do, considering the fact that flash, the program I used to animate this, is very limited. The message of BNW, in my opinion, is that true happiness is different from what is displayed in the book. While different points of view are shown, it is obvious that an overarching theme is that true happiness isn’t formed simply by drugs and pleasantness. For an example of people acting in this way, it is shown in chapter 7 by Lenina, while on the savage reservation, she sees an old man who is in the least, not attractive. Rather than simply take it in, she tells Bernard that she would like to get back to her room and take soma. The fact that this is her preference makes it clear that people in that world are not conditioned to have a life with ups and downs, but one that has a constant, monotonous peace. To bring this back to the theme, a common opinion, and one of my own, is that true happiness is earned. BNW has made me think about happiness quite a bit. In the case of this society, I’m not sure it’s even dystopian. People don’t seem unhappy, whether that’s due to a population widely in a stupor of soma holidays, or simply because they have conditioned to be as such. In the book, characters often seem to be in a wistful, happy mood. As humans in today’s society, we have been socialized to believe certain things, such as the fact that being happy is brought on widely by accomplishment, or that it comes from within. These people, however, have been raised and conditioned to love their lives, where they are, society, and above all else, the system. In the end, I can say that this book has taught me that happiness comes in all kinds of forms. When John says that “Nothing in this civilization costs enough.”, he is obviously referring to the lack of hardship. People have managed to weed out any unpleasant moments in life. This even happens today, where technology has improved more and more, each time making our lives easier. This has advanced to the point where, in BNW, people no longer have to work for anything. A key example of this is when John asks Linda where chemicals come from. She answers with “bottles”. Because Linda was raised in a society where she never had to think twice about what she was given, she never really learned where chemicals came from. Everything in BNW is spoon-fed to its characters, and that’s exactly what inspires uprising, on any scale. I thought it was quite interesting when many of the group members agreed that happiness comes from accomplishment. The reason this intrigued me so much is because it seemed like a very large generalization to make. This statement was odd because after having read this book about happiness, in one form or another, you would think that one would see happiness as more universal. Nevertheless, it is hard to agree with this statement, because in my opinion, happiness is whatever you make of it. I feel that I did fairly well in this seminar. I really tried hard to keep the conversation moving, and to answer any questions that came up in what I thought may be a valuable answer to the seminar. I definitely have grown since the last seminar, the main way being that I had actually read the whole book this time, so I gained a much better understanding of the subject at hand. Because of this, I could even catch/make references to the book that I never would have understood before, and contribute more to the group dialogue. I can’t say that reading Brave New World has really changed the way I think. In a way, I just see it as another book, although it is food for thought. It has maybe brought up a couple thoughts about happiness, and in my opinion even broadened what I may consider happiness. Despite this, I have not come to any huge new conclusions about life, or the way humans work, but simply this topic has been brought to my attention. "What are you most proud of about this conference?" This project has been exploring - quite obviously - the subject of Model United Nations. As students, we have been constructing and writing resolutions, and by doing so, we have come to conclusions regarding world issues. For example, our most recent resolution involved the Israeli/Palestinian conflict. Together, we all wrote resolutions, a few were selected, and we subsequently had a debate on the topic of which resolution should be enforced. This took tremendous amounts of effort and time to accomplish, and despite this, we were able to pull through and fight for our assigned country's perspective. ​Below are two resolutions written by me, concerning North Korea's nuclear program, and the Israeli/Palestinian conflict. "What did you connect with most in this project, and how did that affect your conference performance?" 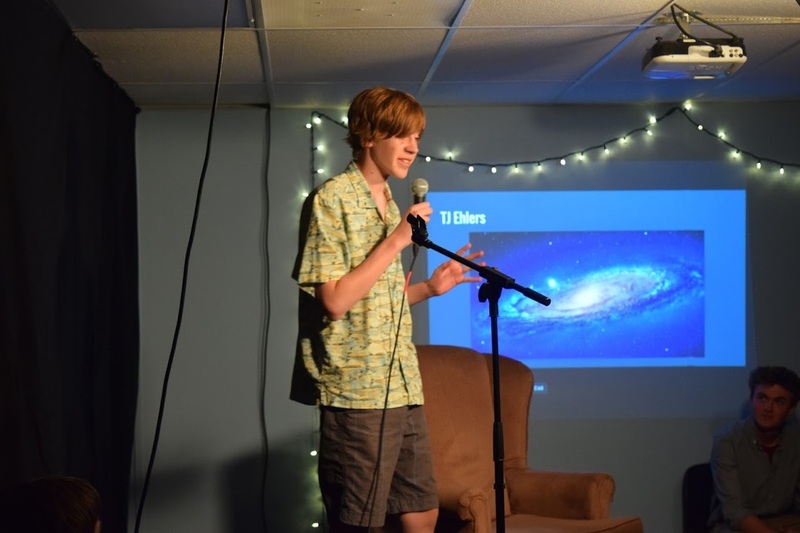 Throughout the Model UN project, I connected with having to scrap your own point of view, and fight for another one. I had to do this for the entire project, being sided with Iran’s perspective. As an example of me having a different point of view, I can say that I was definitely more closed minded. During speeches and writing resolutions, I often found myself stopping myself looking at a realistic solution, and turning to something that was simply a bandage, that didn’t solve anything, but supported Iran’s points of view. This was a takeaway as well as something fun to do. While it did not entirely gain the trust of my peers, attempting to veto all kinds of things, and amend resolutions in such a way that made other countries seeth. Needless to say, this was incredibly fun to do, as I was somewhat of an antagonistic force, that tried to meddle with everything that supported my enemies’ perspectives or beliefs. I can say that it helped me to throw away my perspective and learn much more, while simultaneously being lots of fun. 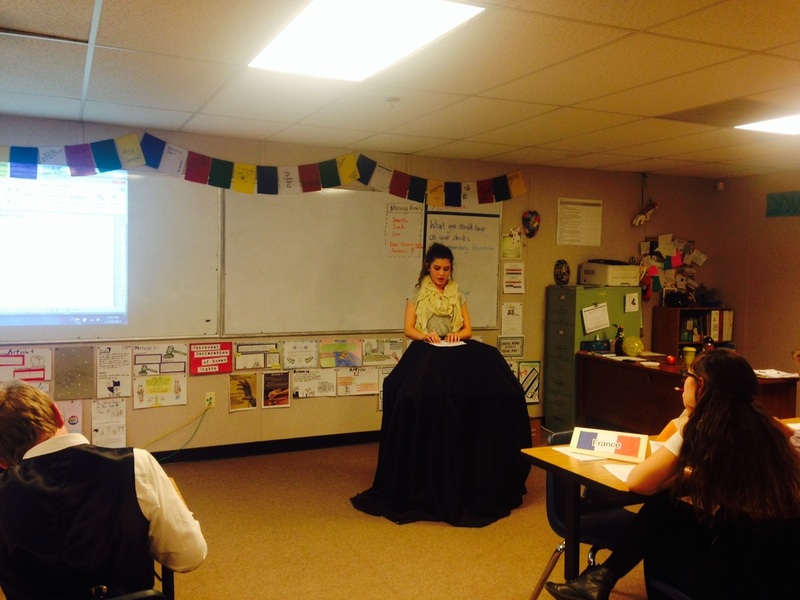 "What was the most important thing you learned in this project? Why?" The most important thing I learned in this project was, well, the existence of all of this! Although I knew what the U.N. was, how some world politics worked, and basically had a small understanding of this subject, this project helped me to deepen that understanding. Because of this project, I’m able to present realistic and sensical thoughts to adults and other people that are conversing about this issue. Rather than having to move to another subject, I can present an understanding of some of these world politics that are relevant issues for some. Of course, I love being able to do this. Sanctions, resolutions, policy papers, all of these are relevant things in the world that require lots of thought to be effective. Having more minds on board with these ideas only increases the likelihood of one of these things saving millions of lives. This has been a somewhat challenging - excuse me - Extremely challenging project thus far. The main difficult part was simply learning how to act like someone you're not. As my country is Iran, I must act in a way that I normally would not. I've fought to push resolutions, and amend resolutions in ways that make no sense to me personally, but are important for the leaders and people of Iran. However, I'd have to say the most difficult challenge was simply the writing, and the research. For weeks - about 2 I think - we worked every day, silently, on researching aspects of our country, and their relation and attitude towards North Korea. Afterwards, the rest was fairly easy. Once I had finished the writing, (made a resolution, created a research doc, etc.) I simply had to learn a bit of parliamentary procedure, and voila! I finished the debate easily and quickly! The part that I am most proud of, however, is my performance in the conference. During said conference, different resolutions were being pushed through, and the one that was preferable to me fell through quite badly. However, I was able to amend a resolution in a way that was great for my country and its interests. In the last ten minutes or so of the conference, during an un-moderated caucus, I, along with a few other middle-eastern countries, quickly threw together a resolution, and with all of our efforts combined, we passed an amendment. To me, this means that if one believes that they have fulfilled themselves, they will stop there, and go no further. From the point one believes that they have met their full potential, they have. Danny and Uno have obviously had to wear masks their entire lives. Specifically, these masks portray them in different ways, but are similar in the sense that they fit on a male. This means that they both attempt to be emotionless, but in different ways. Uno tries to show himself as tough, strong, stone cold and ruthless. He shows no emotion because of that, and fits into a male stereotype. Danny’s mask is similar, but is portrayed differently. His mask shows him as introverted, and very seclusive. Although Danny comes out of his shell a bit, the mask that he wears is one of inhibition. He not only doesn’t show emotion, he hardly shows anything, and not speaking only advocates this. Mexican Whiteboy is a prime example when speaking about socialization. It brings up concepts from socialization including norms, sanctions, and folkways. While the story supports these things, it also tells about how it makes people feel. Danny, when feeling outcast near the beginning, expresses emotions to the reader that are meant to be felt from someone who has no current friends. Masks, which were a large part of our project, are somewhat incorporated as well. We can all see, easily, that the main characters wear masks to hide their true selves, and fit into society. Regarding race and economic class, which this book stresses very harshly, it is a somewhat controversial part of culture. In the book, Mexicans, African Americans, and other races all alike have their own different culture and way of thinking. Although race and economic class are seen as touchy subjects that should be transparent, they are generally some of the largest defining factors of an individual. 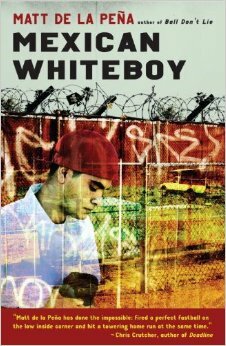 Here is a reflection on the seminar we had regarding the book "Mexican Whiteboy". I will also be including a short pre-write that was done before the seminar. The strongest, most relevant comment to me was made by Malcolm. Although I can’t quote it exactly, it was something along the lines of: “You can change some aspects of your socialization.”. While I did bring up an opposite point somewhat unknowingly, Malcolm powerfully brought the conversation to a better place. Despite the fact that I presented an opposite statement, the statement brought up by Malcolm made me question my own thoughts and refine my points. Something I brought up was the fact that humans attempt to find meaning in things that don’t have it. The example I used was hearing the phone ring, or your name called in running water. This is something that I believe quite firmly. As an example of where I have heard about it, to connect to other media, I have read articles, quotes, and seen videos on this idea. It was a very powerful section of the seminar for me, and I think that it added to the seminar quite a bit as well. Within the seminar, I think that I did alright overall. The biggest spot for improvement would be to perhaps say more meaningful things. Although I did have much to say, none of it really added to the conversation. In this case of course, quality is greater than quantity. Simply saying things for the sake of saying them does not help the situation. This is why I need to sit back and think for a little bit before I actually bring up or attempt to defend a point. “‘A leopard can’t never change his spots.’” This, in my opinion was a very powerful line from the book, but mostly because it resonates most with me. Although in the past it was somewhat contradicted, I like the teaching it gives. While an entirely “deal with it” attitude isn’t entirely healthy, a similar way of thinking is incorporated into my life in some ways. Here's a bit of light shed on the mask! 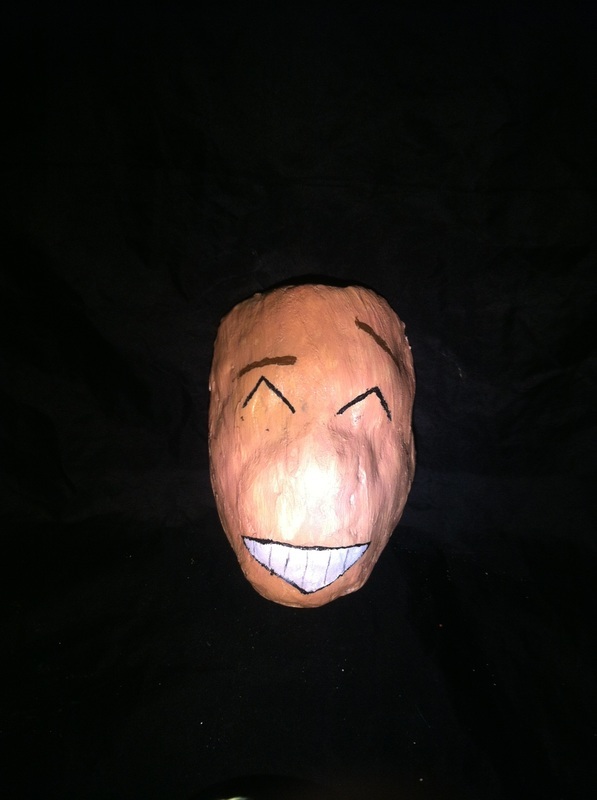 My mask, while not entirely straightforward, I believe is a very good representation of my socialization. It has no text, no images, just a face. This face represents me very well, and if the intended meaning is looked into, much more can be found. To me, the inner meaning is that the end product of my socialization is an entertainer, in some ways. The way that I see the expression on the face is that of a host. When I look at it, all I see is a man, frozen in time, who has just told a joke, possibly to entertain a crowd. It has been a fairly large part of my life to attempt to take care of others, and to not worry so much about myself. This is my interpretation, but there are many others that can fit in. Of course, it is one of many, and open interpretation is always an option! Here's a little reflection I did regarding the current humanities project I've been working on. ​So far, this project has been great! It has many components, and I’m proud of all of the parts of the project that I’ve worked on. The two main parts of this project however, are the mask, and the essay. In terms of my mask, I’m quite proud of the simplicity. As I’ve seen in the past, with other masks from this project that I’ve seen, many masks are much too complicated. The masks that I saw were covered in well, too much. Although they were artful, I often forgot I was looking at the mould of someone’s face. My mask is still obviously a face, and was someone’s at one point. This isn’t the only part of the project I’m proud of though. The essay was a fun part of the project, mainly because I like to write, and it’s somewhat easy for me. To quote a part of it that I was particularly fond of, “ While society nurtures and cares for us, it also chips off vital parts of us, so we can fit into the social niche that our predecessors left for us.” This, being the final sentence, had to be quite powerful, and I think I did a great job meeting that standard. At the same time, it wraps up a fairly long essay well, and explains what it was really about, summarizing the whole thing easily. I have had humanities in the past, and I have dealt with social psychology a bit. Because of this, I didn’t learn all too much, but I would say that my biggest takeaway was simply the experience. Working on essays, and creating masks with quality work was learning enough. The more experience I acquire while doing projects, the more adept I will be at doing so in the future. In terms of growth, I would say that I grew the most artfully. While I’ve already been told and even inferred that I’m a good writer, my art skills aren’t the most “rising star” quality that they might be. Making masks has taught me a new method of expression, along with experience in painting, and how to make a quality piece of artwork.